• Patients in treatment don’t always tell me when they’ve relapsed. In order for addiction to thrive, lies must be told. Otherwise honest people sometimes tell outrageous lies while they are in the throes of addiction. I see this as part of the disease. It’s not about them. It’s not about me. It’s the addiction. • It’s good medical practice. Like many chronic illnesses, relapses happen. It’s better to detect these as early as possible, to discuss what happened, and if/how we need to change their treatment. If a patient has relapsed to opioids, it may mean that I need to increase the dose of buprenorphine, if they were still able to feel an opioid high. If the relapse was to other drugs, it usually means we need to increase the “dose” of addiction counseling. • There’s a gold mine of information in relapses. I ask my patient what happened immediately before the relapse. Was she around people who were using drugs? Did she use drugs to try to get rid of an unpleasant emotion? Did she use drugs because she became complacent? The answers can help decide how best to avoid relapses in the future. If a patient is fortunate enough to live through a relapse, she can get information she can’t get any other way. • Drug screening benefits the patient by giving them accountability. Some patients are less likely to relapse with accountability. I’ve had patients say that the thought of having to talk about a relapse is enough to keep them from using drugs. This surprised me, but I’m glad. • Drug screening also shows them I’m serious about their recovery. I’m not just going through the motions of writing a prescription and getting paid for the visit. I really want my patients to recover and get their lives back. • I’m not a human lie detector. In the past, I smugly thought I could tell if someone had relapsed, so drug screens just confirmed what I already knew. After more experience, I know that’s not true. • It’s the standard of care. Even if the other reasons aren’t compelling enough to do drug screens, the vaguely increased regulatory oversight of doctors who prescribe buprenorphine should induce them do drug screens. I know if my charts are ever audited by the DEA, my state’s department of health and human services, or my state’s medical board, I can show I’m doing things in the proper manner. • I don’t want to prescribe medications that will be diverted to the black market. Some doctors say, with some justification, that buprenorphine is a safer drug than most other illicit opioids, and we should look at black market diversion of buprenorphine as a form of harm reduction. However, governmental types don’t see things that way. The DEA certainly doesn’t. I don’t want to prescribe buprenorphine to people with the criminal intent of selling part or all of it. When I do urine drug screening, if there’s no buprenorphine present, that’s a serious matter. If the patient isn’t using what I prescribe, it’s likely they are selling it. Since such diversion of buprenorphine endangers the whole program, it’s essential to stop prescribing for people who sell their medication. These are my reasons for drug screening. Since I’m not going to stop doing them, addicts who refuse drug testing have to find new doctors. New opioid addicts who come to my office are told, both verbally and in writing, that I do drug screening. They can make their own decision about whether they want to see me as their doctor or go elsewhere. Most established patients comply with requests for testing after I explain the above reasons. According to news reports, inmates in Attica, New York, were wrongly accused of using buprenorphine (generic for the active medication in Suboxone and, Subutex). Apparently their urine drug screening system had a glitch, and nearly fifty inmates had these false positive screens. The prisoners, their lawyers, and their families badgered the Department of Corrections to investigate further, and when they did question the drug testing company, the unexpected results were found to be due to lab error. Until the error was acknowledged, inmates received sanctions and punishments including solitary confinement. It took a little over a month to discover the tests were in error, but at least the error was caught and acknowledged. This is a good example of the lack of credibility addicts and inmates have. If a known addict protests a positive drug screen, much of the time they’re assumed to be lying. It’s not only law enforcement personnel who think this way; treatment center personnel can begin to believe all addicts are lying when they say their drug test results are wrong. We must remember that no test is 100% correct and there will be false positives (the test shows drug use where none occurred) and false negatives (drug use occurred but wasn’t detected by the test) on screening tests. Granted, the rates of error are fairly low, but if you do enough tests, some addicts will be falsely accused of using drugs that they didn’t use. That’s why secondary testing is crucial for contested results. 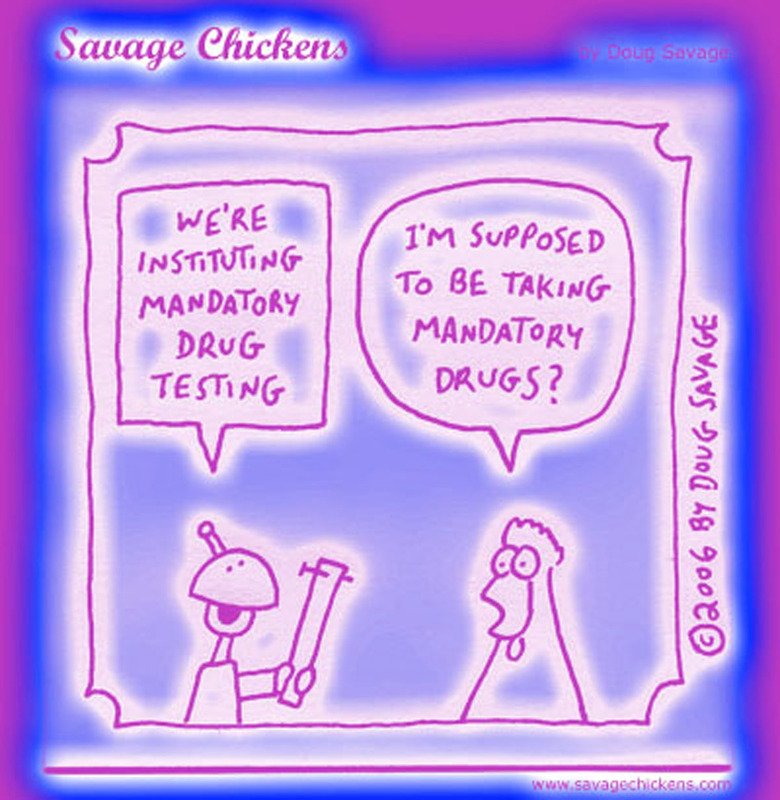 Most drug testing has two parts. The first screening test is quick, cheap, and relatively accurate. Most of the time, this test is sufficient. But in situations where positive tests have major negative consequences for the person being tested, a second, more accurate (and more expensive) test should be offered. The second test is usually based on gas chromatography. If chain of custody has been maintained, the results of this test meet the legal standard of “beyond a reasonable doubt.” In other words, while no test is 100%, this test is so close that the courts accept it as proof. At the opioid treatment programs where I’ve worked, many patients claim that their positive screening tests are in error, and they haven’t used the drug in question. That’s when the second test should be offered. However, gas chromatography is more expensive, and the issue becomes who should pay this extra thirty to forty dollars – the treatment center or the patient? At one treatment center where I’ve worked, staff tells the patient that the second test will be done if the patient requests, but if the test is confirmed as being a true positive, the patient pays the cost of the second test. If the second test does NOT confirm the questioned result, the treatment program bears the cost. Thus, most people who know they’ve used the drug in question don’t request the second test because it’s a waste of their money. And patients who know they haven’t used are understandably eager to have the second test done on their sample, so they can prove their continued abstinence from drugs. Drug testing is essential in the treatment of addiction, but treatment centers should make sure their tests are done by a certified lab and interpreted by a trained physician if questions arise. Confirmatory testing should be offered as an option to patients who question screening results. 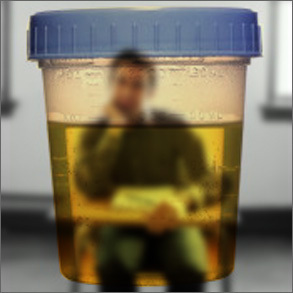 Even some treatment professionals and medical professionals have mistaken ideas about drug testing for buprenorphine. Because it’s a man-made opioid, buprenorphine won’t show as an opiate on a drug screen. It won’t cross-react with tests for oxycodone or hydrocodone. A specific test for buprenorphine must be done in order to detect its presence. In the past, this test was expensive, but now can be added to a drug test fairly cheaply. I test for buprenorphine because I need to make sure my patients are taking their medication, and haven’t given it or sold it to someone else. Fortunately, I’ve never had a patient to whom I’m prescribing Suboxone have a urine drug screen that didn’t show the medication. Should you tell them? That’s a question you’ll need to answer for yourself. Ordinarily I’m an advocate of honesty, but because Suboxone is usually prescribed to treat opioid addiction, disclosing this information more or less informs them you’ve had a problem with addiction. Is that your employers business? No, I think not, unless it’s a “safety sensitive” job, and even then it’s often not appropriate to tell your employer. Lately a few of my Suboxone patients seem to be questioning the need for drug screens. Some of them resent the tests, and resent paying for them. So why do I do drug tests? It’s good medical practice. Like many chronic illnesses, relapses happen. It’s better to detect these as early as possible, to discuss what happened, and if/how we need to change their treatment. If a patient has relapsed to opioids, it may mean that I need to increase the dose of Suboxone, if they were still able to feel an opioid high. If the relapse was to other drugs, it usually means we need to increase the “dose” of addiction counseling. There’s a gold mine of information in relapses. I ask my patient what happened immediately before the relapse. Was she around people who were using drugs? Did she use drugs to try to get rid of an unpleasant emotion? Did she use drugs because she became complacent? The answers can help decide how best to avoid relapses in the future. If a patient is fortunate enough to live through a relapse, she can get information she can’t get any other way. Drug screening benefits the patient by giving them accountability. Some patients are less likely to relapse with accountability. I’ve had patients say that the thought of having to talk about a relapse is enough to keep them from using drugs. This surprises me, but I’m glad. Drug screening also shows them I’m serious about their recovery. I’m not just going through the motions of writing a prescription and getting paid for the visit. I really want my patients to recover and get their lives back. Patients in treatment don’t always tell me when they’ve relapsed. In order for addiction to thrive, lies must be told. Otherwise honest people sometimes tell outrageous lies while they are in the throes of addiction. I see this as part of the disease. It’s not about them. It’s not about me. It’s the addiction. I’m not a human lie detector. In the past, I smugly thought I could tell if someone had relapsed, so drug screens just confirmed what I already knew. After more experience, I know that’s not true. It’s the standard of care. Even if the other reasons aren’t compelling enough to do drug screens, the vaguely increased regulatory oversight of doctors who prescribe Suboxone should induce them do drug screens. I know if my charts are ever audited by the DEA (unlikely), my state’s department of health and human services, or my state’s medical board (more likely), I want to show I’m doing things in the proper manner. I don’t want to prescribe medications that will be diverted to the black market. Some doctors say, with some justification, that buprenorphine is a safer drug than most other illicit opioids, and we should look at black market diversion of buprenorphine as a form of harm reduction. However, governmental types don’t see things that way. The DEA certainly doesn’t. I don’t want to prescribe buprenorphine to people with the criminal intent of selling part or all of it. When I do urine drug screening, if there’s no buprenorphine present, that’s a serious matter. If the patient isn’t using what I prescribe, it’s likely they are selling it. Since such diversion of Suboxone endangers the whole program, it’s essential to stop prescribing for people who sell their medication. These are my reasons for drug screening. Since I’m not going to stop doing them, addicts who object to screening have had to find new doctors. New opioid addicts who come to my office are told, both verbally and in writing, that I do drug screening. They can make their own decision about whether they want to see me as their doctor or go elsewhere.